A good lounge is a mix between an entertainment venue, social club and bar, which allows people who want to mingle as well as couples who only have eyes for each other to have a good time. Some offer live entertainment, a diverse food menu, and a wide selection of signature cocktails, while others rely on a DJ, snacks, and serve just beer and wine. Either way, if customers keep coming, they must be doing something right. 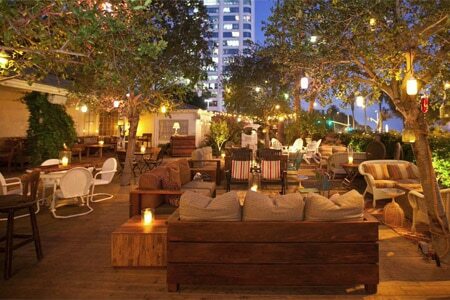 Presented in alphabetical order, here are the Top Lounges in Los Angeles.